Ok, I promise this will be the last non-enthusiast car that I do. 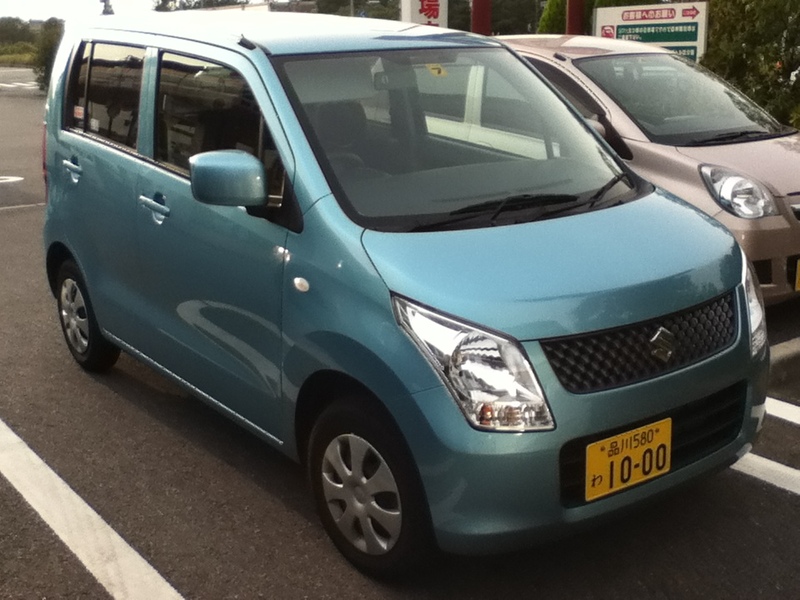 I realize on a blog like this, it’s more typical to discuss sports cars, but I have a soft spot for kei cars, particularly the Suzuki Wagon R.
Why this one in particular? A few years back when I visited Tokyo, I rented one of these. Not on purpose, it was just the cheapest car I could find. I had nearly rented an RX8, but at $300 a day, that was a bit steep. Once I learned what tolls cost over there, I was happy that I saved the money. Even though it was a 660cc box on wheels, the day I had it was perhaps the best driving experience I’ve ever had. I drove through central Tokyo, went all the way out to Chiba, drove much the the famous Wangan, and finally got to experience a RHD car. Anyhow, enough of my reminiscing, on to the specs. The noble steed I drove in Tokyo. The Wagon R is one of the more popular kei cars in Japan, and with a starting price of around $9,000 USD, it’s quite a bargain. It’s not a car that will get the blood flowing, but it’s one of the more practical cars you can get. If you’re into boxy cars, it’s not bad looking from the outside. The interior is as basic as it gets. You can however get the Wagon R Stingray. This has some styling changes, some aero work, and allow wheels. It’s turbocharged 3-cyl engine puts out around 63 HP. That seems like a pitiful amount, until you realize the Wagon R weighs in at around 1800lbs. It’s by no means fast, but I personally had no problem cruising at 80mph along the Bayshore Route (yes, that’s about 50km/h over the speed limit, it’s hard to adjust to Japanese speed limits when you come from the US). This is one I really wish they would sell in the US. Thanks to the Scion xB and the Nissan Cube, I think the US has warmed up to boxy designs like this, with the low price, and a available hybrid powertrain, this would be a very practical car for city dwellers here.